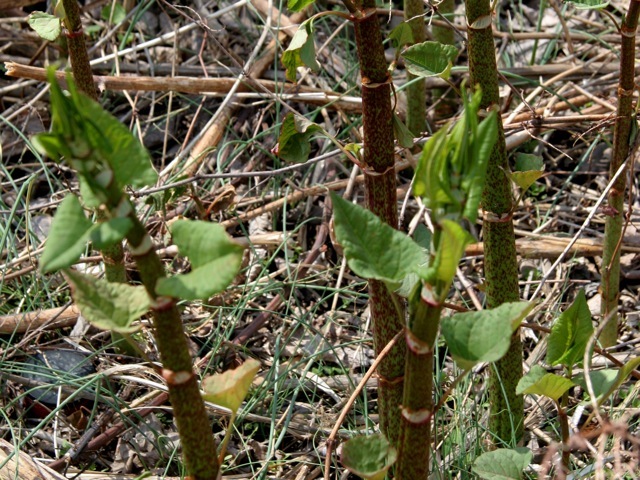 For more information about foraging for knotweed, read Ellen Zachos's essay on knotweed. Put the knotweed stalks, garlic, onion, and stock in a large pot. Bring to a boil, then reduce heat and simmer for about 10 minutes, until everything is tender. Purée the mixture with an immersion blender or in a blender or food processor. Add the dill or tarragon and the salt and pepper. The soup should be a little thinner than pea soup; if it’s too thick, add a little water and stir. Serve hot, with a swirl of sour cream or yogurt.